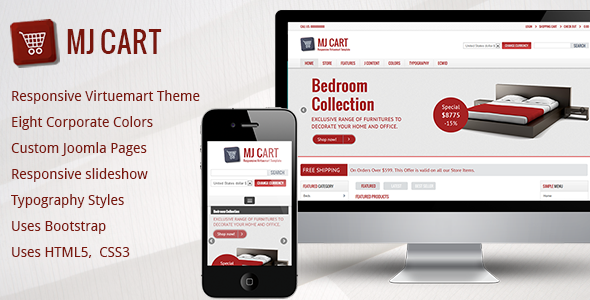 Mj Cart is responsive Virtuemart joomla template and designed for mobiles, tablets and desktops.It is compatible with Joomla 2.5 and VM 2.0.x onwards. Mj Cart is built using Solid grid system and Bootstrap framework. 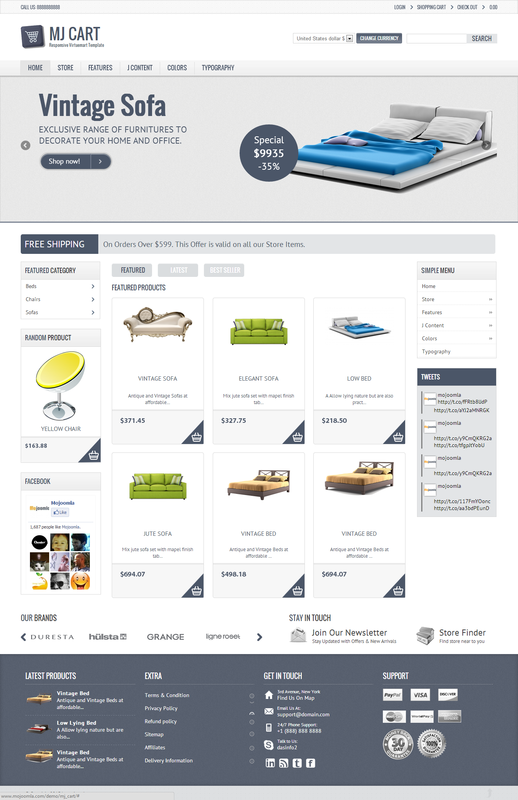 It’s suitable for Retail, Shopping and E-commerce related websites. do you also provide a VM theme for 2.0.22+ only? so i can use my template. Maybe the best set of extensions in a gorgeous template for less than 50$.